Religious kibbutz Shluchot and adjacent secular Reshafim are building a mixed neighborhood that will join them. Symbolic? Can two communities marry each other and become "one flesh"? In the Beit She'an Valley, two kibbutzim (cooperative agricultural communities) are doing something akin to that. 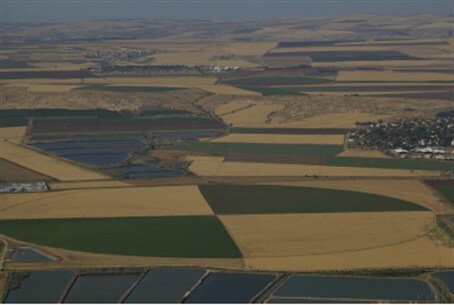 Shluchot, a religious kibbutz, and Reshafim, which is secular, were both established in 1948, on the same plot of land. A short time later, Shluchot moved a short distance southward to its permanent location. A swath of agricultural land separated the two communities for the next six decades. Now, the two communities are building a neighborhood on that separating swath that will connect them, physically and spiritually. The neighborhood will be mixed, religious and secular. Shluchot is one of four religious kibbutzim established next to each other in the Beit She'an Valley: Tirat Tzvi, Sde Eliyahu and Ein HaNatziv are the others. Its founders came from a Bnei Akiva Torah nucleus group and had stayed in Pardes Hana for several years. Shluchot was established in June 1948 and was the first kibbutz created in the newly independent State of Israel. Two of the group's members, Ayala Teneboim and Naftali Steinfeld, were shot and killed by British soldiers during the attempt by local Jews to break the British siege of Givat Haim. The secular and socialist kibbutz movement was largely hostile to religion for decades. In recent years, however, more and more secular kibbutzim are dedicating their own synagogues and even running kosher kitchens. The union of the two kibbutzim could be seen as a result of this process.